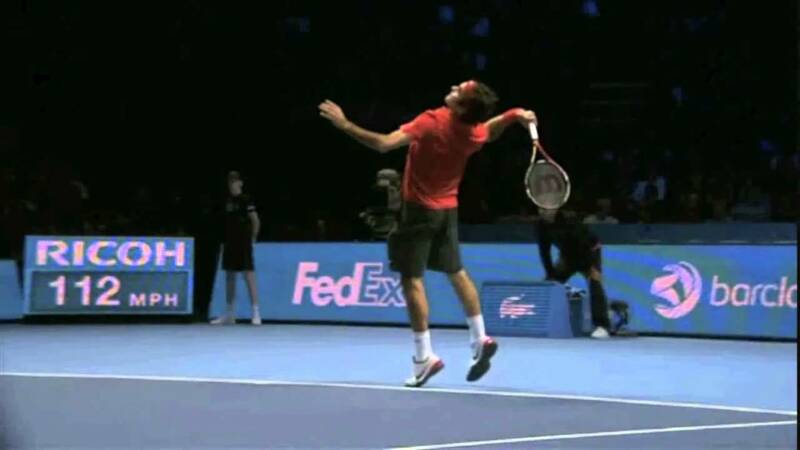 This element of his serve occurs when he starts to drive his leg. His non dominant hand has lifted up below the ball and his right arm will follow to make a "trophy pose" or also known as the "tick". His shoulders and his chest are facing the back right corner of the court. 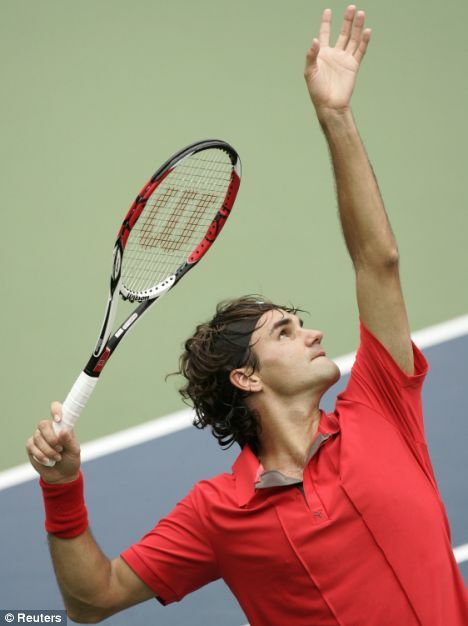 His dominant hand (right) holds the racquet and should be behind the head. The racquet tip is facing up towards the sky. His head is facing towards the ball. This position looks like a trophy pose or a tick. As his feet launch off the ground, his dominant hand go back behind his back and head and then down into a 90 degree angle inwards. His non dominant hand is simultaneously going down and is about to tuck into his stomach. His racquet tip is now facing down towards the ground and is the opposite to the tick pose. His face is facing up towards the ball. From this position he will then thrust up towards the desired contact point. Since the leg drive up off the ground and now the racquet tip is facing down, he will accelerate very quickly to his contact. He will use a snap of the wrist, forearm and arm to create this thrust towards contact. This will allow him to create tons of power, pace and also spin comfortably and effortlessly. At the contact point, his non dominant hand tucks into his stomach as he is just about to touch the ground after the jump. His head is still facing the ball at the contact point. He is making contact when the ball reaches its peak of the toss (when the ball is just about to drop).